Scott Hastings is a champion ballroom dancer, training hard for the annual Pan-Pacific Grand Prix Dancing Championship. When he finds himself without a partner, he is approached by a motivated beginner, Fran, who has been taking lessons at his parent’s dance studio. Fran convinces Scott that they should embrace their own style and compete using their own moves, even if they aren’t approved by the Australian Federation. When Scott’s mother tries to persuade him to partner instead with an established dancer, Tina Sparkle, Fran runs home devastated. However, Scott’s heart is set on dancing with Fran, and he certainly doesn’t give up easily. Will the pair be able to overcome the many obstacles standing in their way? Based on the cult-favorite film directed by Baz Luhrmann, who also created the musical, “Strictly Ballroom” is directed and choreographed by Drew McOnie with a book by Luhrmann and Craig Pearce. With a collection of popular songs, including “Love is in the Air,” “Time After Time,” and “Perhaps, Perhaps, Perhaps,” woven together with show-stopping dance routines, this adaptation of the beloved 90s film is a spectacular fusion of ballroom dancing and musical theatre. Fernando Miro originated the role of Rico in the world premiere in Australia and has continued his journey with the West End cast. An incredibly talented flamenco dancer, Miro has performed with English National Opera and Opera Australia, and he was also invited to perform in Spain for the Andalusian government. The show opened in Sydney in 2014, before transferring to Melbourne and Brisbane. It received seven nominations at the 2014 Helpmann Awards, including Best Musical. Since then, the production made its British premiere in Leeds in 2016, before a run in Toronto in 2017. “Strictly Ballroom” was originally conceived as a play while Baz Luhrmann was studying at the National Institute of Dramatic Art. While producing an extended version in 1988, he met one of the company’s designers, Catherine Martin, who he later married! When the original film premiered at Cannes Film Festival, it got a 15-minute standing ovation. It was nominated for Best Musical at the 1994 Golden Globes and won three awards at the BAFTAs. PROMOTION PERIOD. 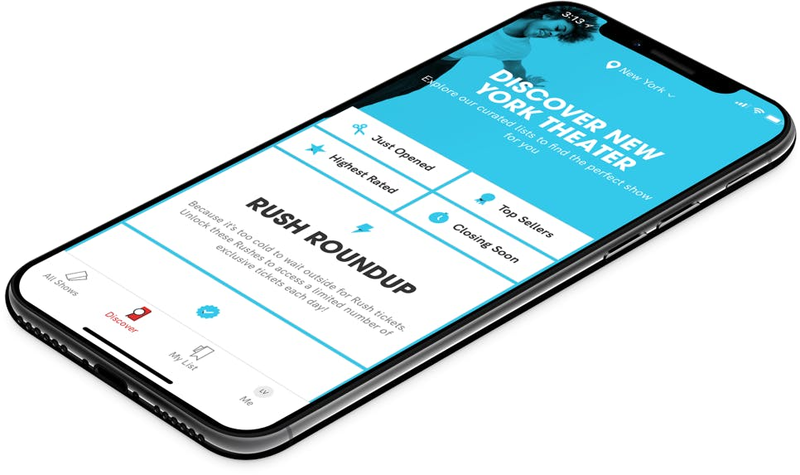 You may purchase either 1 or 2 discounted price tickets for the featured musical/theatrical performance from as soon as these are marketed within the 'TodayTix Rush' section of the app. The closing time/deadline for the purchase of such tickets is either: 1 hour until the featured musical/theatrical performance; or all the discounted price tickets have been sold. In either case the 'TodayTix Rush' section of the app shall not be able to be unlocked from such point until the following date on which discounted price tickets are available for purchase through the 'TodayTix Rush' section of the app.